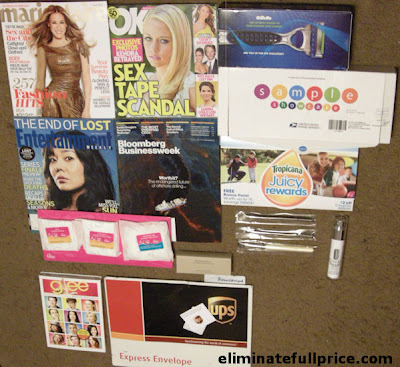 Eliminate Full Price: Mailbox Monday 5/10/10 - Glee DVD fom HitPredictor, Clinique product from Sephora, $100 from UPS, & more! 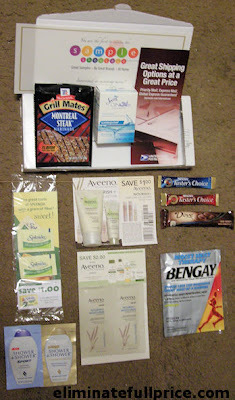 Mailbox Monday 5/10/10 - Glee DVD fom HitPredictor, Clinique product from Sephora, $100 from UPS, & more! 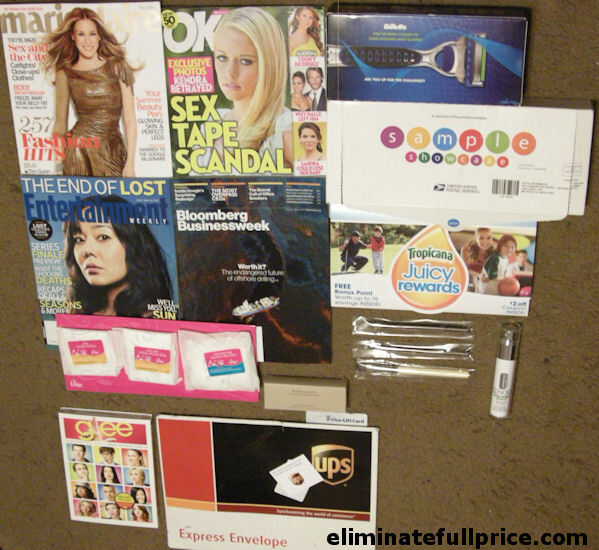 I received so many great freebies last week! -For Earth Day the @rawbeautyteam had a contest on Twitter. They asked, "WHY is it important to go green?" I replied: It's important to go green b/c it's so much healthier, safer, & better for their earth. It's also important to go green b/c the earth is so beautiful & it doesn't need anymore damage from waste & trash. It also came with an all-over eye shadow brush (RAW Minerals website says the full price is $20.00), a crease/blending brush (RAW Minerals website says the full price is $20.00), and a brow/eyeliner brush (RAW Minerals website says the full price is $18.00). -Sample Showcase box from USPS (The promotion is over.) This box was filled with so many freebies! -"Glee: Road to Sectionals" DVD from HitPredictor! Glee is my favorite TV show of the moment so I was happy to get this! If you haven't joined yet HitPredictor you can join by clicking here. It's free to join and it's very easy to earn points towards great prizes. I've already received so many great prizes from HitPredictor. Wow! What a terrific week for you! Congratulations on you win! GREAT week!! Love the makeup brushes! Love the Glee DVD! Will have to check out Hit Predictor! What an awesome week! Happy MM! Wow!!! $100 dollars. That is so incredibly awesome. What a great week! Great week! I *love* GLEE! Everyone has had such a great week! Congratulations on all your good mail this week! My daughter would love the Glee DVD. I've never heard of Hit Predictor, will definitely sign up. 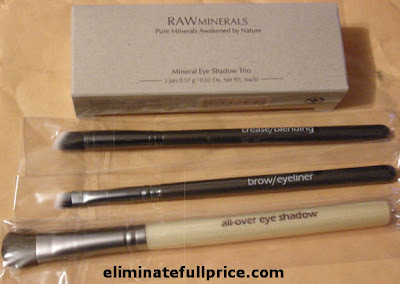 I think your answer really deserved such a great prize - let me know what you think about the mineral shadow - I have been thinking about buy it myself! Have a great week! Great week! What a great win!